Guys, as we know our next sales is related to Domain Names. Hence, we would like to share some very useful and good information about domain names. Sometime, you may seen some very funny domain name extension such as EC (for Ecuador), UY (for Uruguay) and etc. But how many of us really can differential to each of these country extensions for each different country! 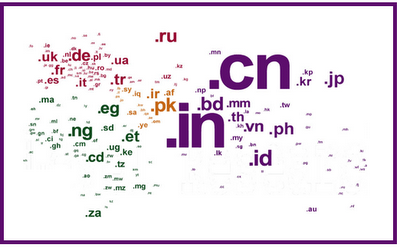 So, let's me share you guys something today - Domain Extension for Each Country! Most countries throughout the world have a unique domain name extension for their country. Hope all these information maybe sufficient for you one day! "Sharing is caring, share this page if you think is important to keep for future reference!"